ALL LEVELS WELCOME! Looking for something for you 9-12 year old to help them stay active or get faster in their sport? Our Speed, Agility and Quickness Training (SAQ) is what you are looking for. This training is 1 x week either on Tuesday or Thursday evenings. Our 13 and older group is available to all levels as well! Training is on Tuesdays or Thursdays (choose 1 day). Reserve your spot online today. GAIN BETTER CORE STRENGTH, FLEXIBILITY AND ENDURANCE TO GIVE YOU THE BEST GOLF SEASON! 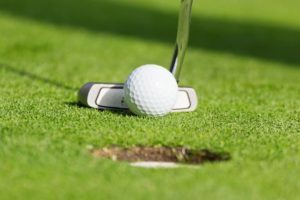 Golf Conditioning is on Wednesdays (5:00pm-6:00pm) or Fridays (9:00am-10:00am). Choose 1 day. Program put on by Certified Golf Conditioning Specialist and Certified Personal Trainer Whitney Patterson. 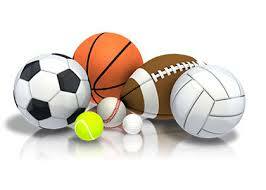 SOFTBALL, BASEBALL, VOLLEYBALL, FOOTBALL, SOCCER, BASKETBALL & GOLF OH MY! Not sure waht sport your son or daughter might enjoy? These 2 week sessions will allow them to learn skills associated with these sports. Limited to 12 participants per sesion.